My OUTLANDER Purgatory: So it's Possible? SPOILER ALERT: Dinna read unless you have read up through Voyager. WHAT in god's name did Geillis mean when she and Claire were being held captive... and she started asking Claire about Jamie... and she said "So it's possible"? I assume she means "It's possible to go through the stones and find love"?? When I first read Outlander I never clued in that Geillis might know Claire was from the future. Now I totally get that - and that's why she gave her the opium and tried to find out where she came from. Damn well would have succeeded too, had the Fiscal not come in. Geillis must have had a major suspicion about Claire from Day 1. I wish she would have come right out and asked her. OK so here's my question. If Claire knew that Colum and Dougal were talking about Geilie - and not Laogwhore - do you think she would have warned Geilie that they were going to off her? 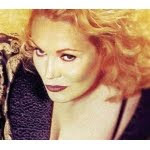 PS - Have I mentioned that Cathy Moriarty has been my Geillis Duncan since the second I saw her name? I am thinking she could play older Geillis at this point? I honestly think she would have warned her - that's just the kind of woman Claire is. If her glass face didn't give it away she surely would have felt some necessity to warn her. At this point (correct me if I'm wrong) but Claire wasn't fully aware of Gellie's transgressions. I think she would have warned her too. I just wish it was Laogwhore they were talking about. Oh..and me too newly discovered your blog and LOVE IT!!! I am on Drums of Autumn for the first time. We must be on a Gellis wave length, because I've been thinking about her too!! There's a theory I want to discuss about her on Monday, well kind of about her... More about Column really. I'm curious as to why Gellis didn't tell Dougal after her husband was known to be dead (or did she? I can't remember) and then they could get married since D's wife just died. Maybe Coulumn wouldna stand for it? Welcome Alli and Anonymous! 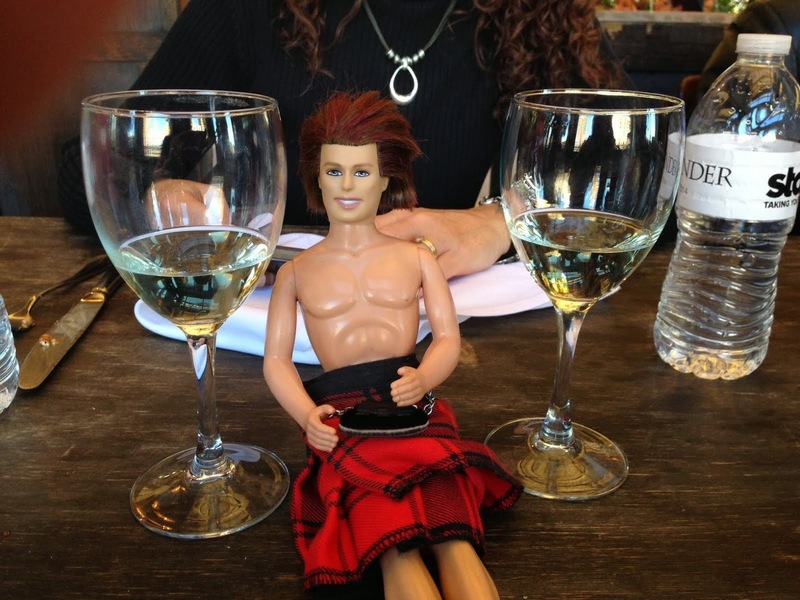 We're thrilled to have new people to discuss Outlander with! Love the comments - and chat is Monday night's at 9PM Eastern! Anonymous - I try to post spoiler warnings... but now that I'm finished the series I forget sometimes.. so be careful! Megs - I am looking forward to my reread because now that I know what ultimately happened to Geilie, I want to pay more attention to Dougal's actions, post-witch trial. from Diane K -- I'm in the middle of Echo and can't wait to go back and start the whole series over again! There are so many hints that I know I missed the first time (like the G questions), and some questions that still haven't been answered. Loving the blog and videos, Carol (and Tracey)! I don't mind the spoilers. It gives me something to look forward to. If I don't want to know I just stop reading. I love the blog. Carol, I think what Geilie meant when she said "so it's possible" was that you could travel through the stones without a blood sacrifice. Remember, she killed her husband when she traveled through? And later, when she's on the island, she figured out that you needed gem stones to travel through. I think she realized Claire had come through accidently, and did not use a sacrifice. Ok, can I post a line that I didn't understand either? #1: Page 541, "You're too quick by half, lad, I thought drowsily to myself. Frank never did find that out." So, who's too quick? Frank? Does she mean quick at (ahem) 'finishing'? Megs - I thought Claire meant that Jamie figured out - where Frank couldn't - that he wasn't able to possess her soul without giving his own away to her. Pam - that makes sense but when she said it she had just been grilling Claire about her feelings for Jamie. Anonymous - thanks and and I wish I could be like you with spoilers! I am a freak about avoiding them! Carol, I will have to go back and re-read that scene of them in the pit together. Seems like it did have something to do with Claire's feelings for Jamie, but do you really think Geillie is so amazed by Claire's love for Jamie, or do you think she's more calculating, even in those dire circumstances, thinking of how to move through the stones? Ha! Carol, you're so right about what that quote means! Thanks for explaining that, I feel like a dork now that I didn't get that! Pam - you're very right about Geillis being calculating. I don't know. I think we need Karen's opinion on this one. ooooh Laura! Girllll! Thanks for those links. I love when someone shows me exactly what I'm looking for on Compuserve. I almost jumped in until I realized the thread was going on in 2008. I know, I know, I should jump in anyway. Because I really feel like Geilie meant that it's possible to find love after going through the stones. I mean seriously... she just meant a general "it's possible" to find love? Seriously? She's basing her opinions solely on whether Claire found love? That makes no sense to me unless she's talking about people who have gone through the stones finding love.